Citations for improper lane change in Florida are common. The Florida Uniform Traffic Citation Statistics from the state department of highway safety and motor vehicles revealed law enforcement issued an estimated 58,400 tickets in a single recent year. You should know, though, that you have a decent chance of fending off the worst of the consequences if you decide to fight back. Of those tens of thousands of citations issued, only about 2,600 resulted in a guilty finding. In fact, nearly 19,000 – or one-third – were dismissed. Only 2,500 resulted in a finding of “guilty,” with most of the rest being adjudicated in some other manner with the judge or clerk of court. At The Ansara Law Firm, our Fort Laurderdale traffic ticket attorneys know there are many potential defenses, depending on the underlying facts of your case. What is an Improper Lane Change in Florida? Higher insurance rates (almost guaranteed if you are adjudicated guilty). An experienced traffic ticket defense attorney in Broward County can often help mitigate the impact to your life, even if it’s not possible to get the ticket dismissed outright (which is often a possibility). The statutory definition of an improper lane change is somewhat complex, and the outcome often hinges largely on the credibility of testimony from the observing or reporting officer. Generally speaking, an improper lane change is when a driver changes or tries to change lanes of traffic without having an open and clear path to do so. In other words, it wasn’t safe for them to do so. One can be cited for this offense regardless of whether it resulted in a crash. Usually, you have either been in a crash or else the officer directly observed the alleged improper lane change. Driving to the left of center of the road when overtaking and/ or passing another car traveling the same direction – unless authorized by other provisions of the state’s Uniform Traffic Control statutes – and unless the left side is clearly visible and free of any oncoming traffic for a “sufficient” distance ahead to allow the passing/ overtaking to be completed with no interference from vehicles coming the other way. When you do overtake/ pass another vehicle, you must return to the authorized lane of travel “as soon as practicable,” or at least before you come within 200 feet of any vehicle approaching from the opposite direction. Driving from a direct course in any lane on any road or highway until the motorist has made certain he/ she is not being approached or about to be passed by another vehicle on either side and that the move from one lane to another can be made safely and without interfering with the operation of any other vehicle traveling the same direction. You will note there is a lot of subjective language in this statute. For instance, reasonable minds might disagree on what was “as soon as practicable” in certain scenarios. Similarly, reasonable minds could disagree about whether a lane change was “safe,” particularly if it can be established the driver of the other vehicle was engaged in some unsafe behavior, such as speeding. The fine schedule for non-criminal traffic citations are ascribed in F.S. 318.18. If you were involved in a collision and cited for improper lane change, the officer will have to prove beyond a reasonable doubt that your lane change was improper AND that the change interfered with the operation of either a vehicle approaching in the same direction or a vehicle traveling in the opposite direction. Several courts in Florida have held that in order to prove a lane change was improper, the state must show you had a negative effect on other traffic. If there were no other vehicles nearby or if there was no crash, you might have a good legal argument to have the citation dismissed. Officers routinely use this alleged offense as a means to pull over and investigate a suspected drunk driver. Regardless of whether the driver proves impaired, this citation may still remain. It’s worth fighting back. In many cases, we have found the evidence simply insufficient to prove the allegation. 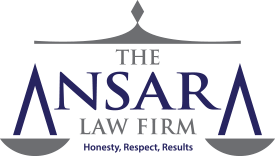 If you wish to fight a Fort Lauderdale traffic ticket, call The Ansara Law Firm today for your free initial consultation at (954) 761-4011.